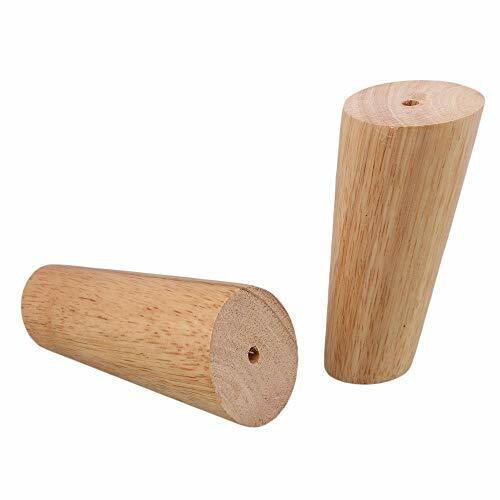 - Solid oak hardwood furniture legs set of 4 for DIY furniture projects, furniture restoration and furniture height raising projects. - You will have everything ready to get the job down. - Perfect for furniture sofa, table, chair, couch, chest of drawes, cabinets and more! 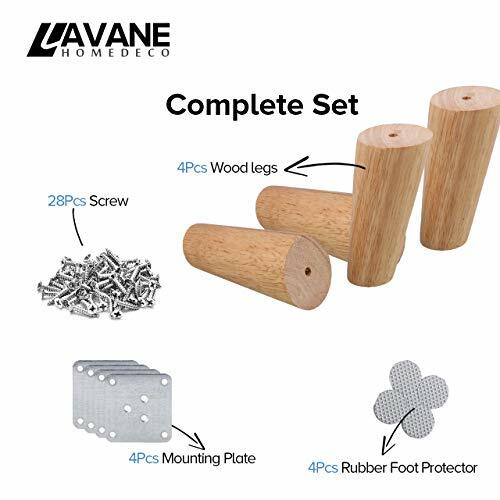 - With this full set of wood furniture legs, all you need to do to get the job done is to attach the leg mounting plates, and install furniture wood legs. 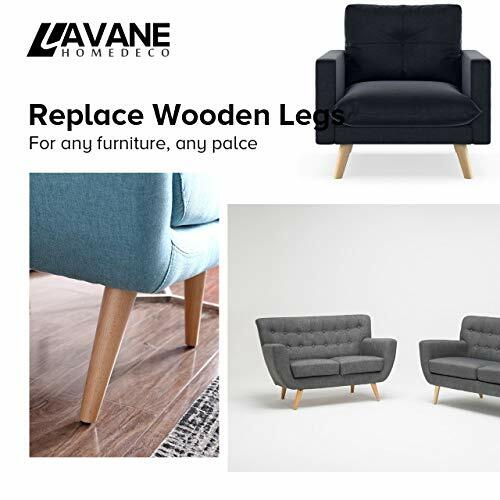 - The STYLISH DESIGN and EXPERTLY CRAFTED FINISH will have people wondering if you bought a whole new furniture set. - EASY INSTALLATION and UNIVERSAL FIT mean that you will have the upgraded furniture ready for use in no time!